Interview with Samiya Selim from the "Selim Family Raasta"
My guest this month is Samiya Selim, the writer and photographer of the Selim Family Raasta. The Selim family has been traveling the globe across Europe, Asia, North American and Oceania and have a lot to share about their traveling experiences. As you will discover from my interview with her, Samiya is not only a great travel writer, but also a very accomplished scientist with a degree in marine biology. 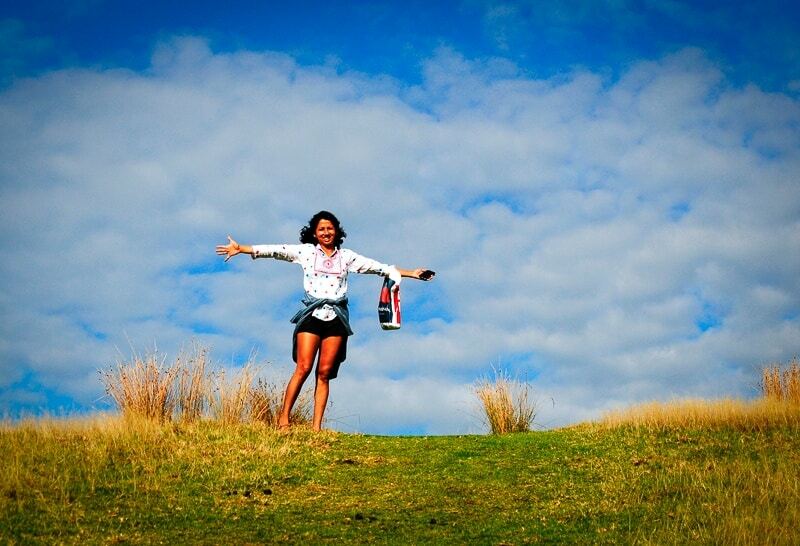 Her passion for travel and life is contagious. I am a conservation scientist by day, travel blogger by night, and full time mother of two. I am also the main writer of the Selim Family Raasta. I am originally from Bangladesh, lived half my life there and other half in North America and England. Now I am living and travelling in New Zealand with the family for one year, before moving onto another continent. We love the idea of slow travel, exploring one country at a time, experiencing the culture, people, food and visiting beautiful places every chance we get. 2. What is your blog about and how did you start blogging? I started our travel blog to document our overland journey from Sheffield to Bangladesh. Life happened along the way as we made travel plans, and a year on from when I first started blogging in April 2014, we have moved to New Zealand…the blog took on a different turn and has become about our world travel and how we do it whilst working and with two kids in tow. I focus a lot on National Parks and the greater outdoors, I also focus on highlighting off the beaten path travels and overland journeys that we have done over the past 10 years. Mostly I try to show that it is possible to do all this travelling with children, no matter how small they are – ours travelled from 8 week onwards – and also that it doesn’t have to be all amusement parks and kids stuff. 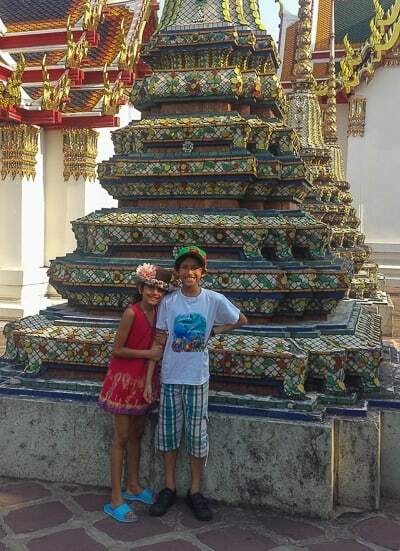 Our children have enjoyed history and culture– castles in England, amphitheaters in Croatia and temples in Thailand. It is way more fun for them to learn history by actually seeing rather than from textbooks. So far the blog has been mostly about road trips and nature travel with children around Europe, North America, Africa and Asia. Now it’s very much focused on Oceania! 3. Do you feel that blogging takes time away from your social/family life? Unfortunately it does, as much as I would love to deny it and whilst I try to not let it interfere with family life, it does plenty of harm to my working life! It doesn’t help that my work at the moment is mostly writing up my thesis, which means I am on the computer a lot. Very tempting and more fun to write a travel post than write up 3 years of research. When I am travelling or spending time with the family, I try not to be on social media, but it’s in the back of my head when I see something new or take a photograph – how all that will be great for a blog post! 4. You lived in more than one country. Where do you feel most at home? I have now lived (long term) in three countries and three continents – Europe, North America and Asia. Even though the last 17 years have been abroad, Bangladesh will always be home to me. It’s where my roots are, where I am the most comfortable, and where I feel I belong. 5. Do you have a roll model as a blogger, someone whom you admire and hold in high esteem? Not so much a role model as a blogger, but more of a role model of a traveling family living their dream – I was so inspired by the Zapp family after reading their first travel memoir – Spark Your Dream. They have been on the road for 15 years now, 4 kids along the way, all over the world in their 1928 Detroit-made Graham Paige. I love reading about their journey, although they update very rarely! 6. What is the one thing that is too large or impractical to travel with that you wish you could take with you when you travel? My running shoes and my Yoga Mat. You just never know when you come across a great running trail or find an awesome beach to do Yoga in different parts of the world. I use the word impractical as I rarely do either when I am traveling! I did it few times when we did a road trip through Europe over 3 weeks. I ran twice this whole time and did no Yoga. 7. What is the #1 country on your bucket list? Too many to name! I guess if I had to choose one spot, it would be Namibia, Africa. I also want to do a road trip through South America, from bottom to top. 8. Are there any countries that you would never consider visiting and why? I can’t think of a country that I would never think of visiting. I can think of a few I wouldn’t visit at the moment due to political turmoil and conflicts, but would consider visiting once things settle down. I like to keep an open mind of about visiting new places, even ones that are not necessarily on my travel radar now! 9. What is the most adventurous thing you have ever done? I have been Bungee jumping in Thailand, snorkeled with sharks in Malaysia (they were tiny though) and I suppose backpacking around India for a month with only $100 and no backup credit cards or cell phone can be considered adventurous. 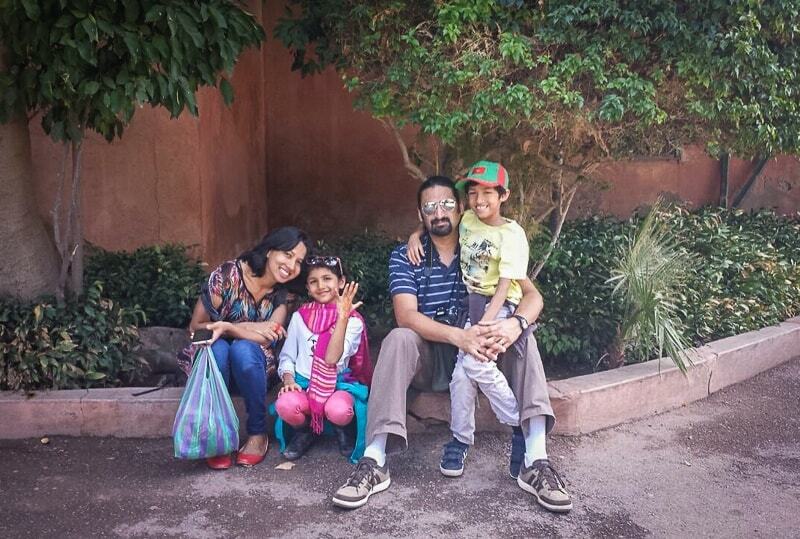 Most people consider the travelling we have done with the kids when they were babies quite adventurous – taking 5 month old Shahaar to the Sunderbans Mangrove forests in Bangladesh, mud bathing where there are crocodiles nearby. I am always up for new adventures. 10. What is your greatest passion? I have so many! I am passionate about wildlife conservation, marine life in particular, although have a soft spot for orangutans and tigers as well. I am passionate about trying to live a sustainable life and showing my children how one can do their own bit to tread lightly on this earth. I use the word passionate because both my husband and I strongly practice living more ethically – eating locally grown food, eating less meat (in my case, no meat) flying less, reducing use of water, energy and consuming less in general. We avoid place that abuse animals for entertainment (the likes of Tiger Temple and Sea World) and promote ethical tourism. My personal passions would be running, yoga, dancing, and in the last one year, travel blogging. I have only recently discovered Samiya’s blog and am enjoying it. This was great learning more. Blogging does take up a lot of time, but I find that it's all of the other stuff that really takes the time. Things like social media, the boards on Facebook, etc. There interesting most of the time, but time consuming. So wonderful you are exposing your children to other cultures and lands early in life. They'll be better people for it!